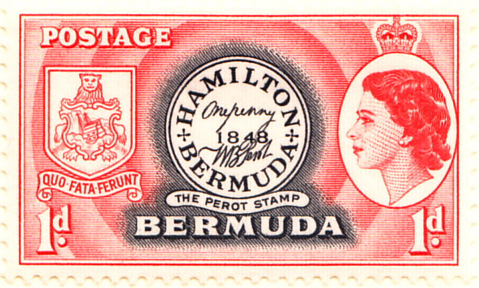 Bermuda had an 1848 entry for the local handstamps produced by the postmaster William Perot, but the first real national release was 25th September 1865. The G6 1949 Perot commemorative was shown in the Display for 1848, the E2 1953 commemorative is shown here. 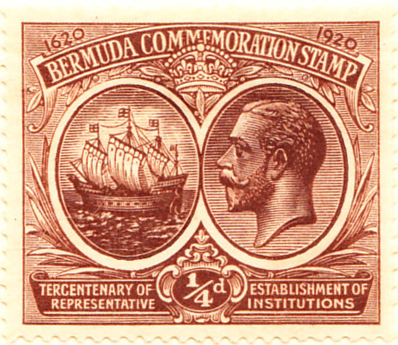 It is a project standard to show all the states and provinces for the period together. 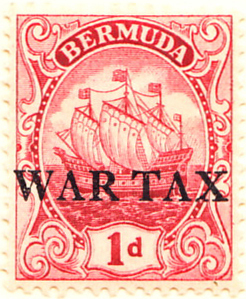 There are three entries in this period, two of which are new categories. 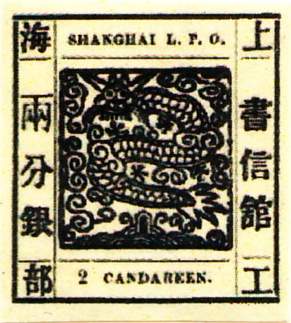 All of Shanghai's early definitive are prohibitively expensive and so I will have to rely on a fake reprint until an alternative source is found. 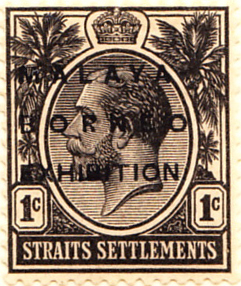 The 1893 commemorative overprint marks the 50th anniversary of foreign settlement in Shanghai.The early post due labels are all overprints of 1890-82 definitives of the same design. The first is costly ($300), but Sc-J7 is the same design with different perforations and at $3 is an admirable substitute. See also the China display. 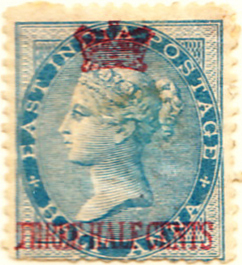 Stamps were issued collectively and separately for Jammu and Kashmir, all numbered sequentially both by Scott and Gibbons. 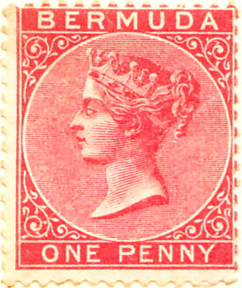 The first joint stamp was the ¼a red in May 1878 and the stamp shown is the similar 1883-94 ½a red with more selvage than stamp. 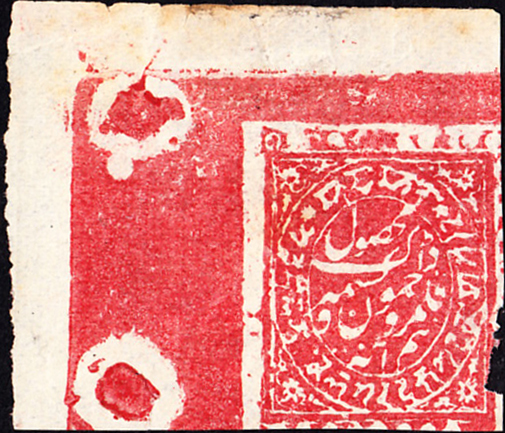 The individual firsts for Jammu (1867) and Kashmir (1866) are costly. 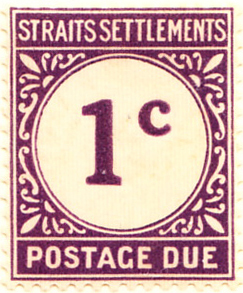 Straights Settlements, 1st September 1867, is the first of the many Malayan States issues. 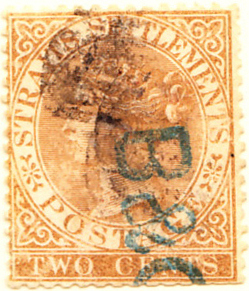 Initially overprints of Indian stamps were used, the first catalogued real issue being the 2c brown. 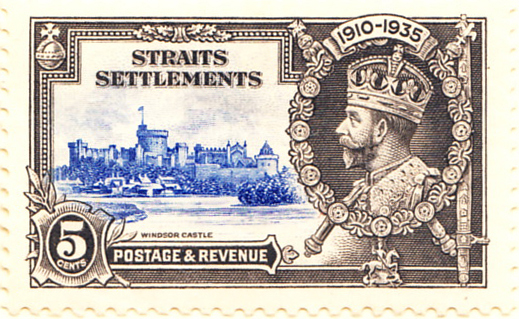 It is unusual for a subsidiary entity to release this full a range of stamps, but Straights Settlements managed an overprint and a real commemorative, a charity issue and a post due label.